Cable break / lead breakage, broken connectors and damaged cable insulation – many of these failure causes and sources of errors in sensors can be traced back to mechanical failure of qualitatively inferior components. You have carefully selected a supplier for high-quality pressure transmitters / pressure sensors and made sure these pressure transmitters meet the requirements of your application. But have you also checked whether the plugs and cables which connect your pressure sensor to the associated control system are also suitable for your application? My personal experiences have shown that pressure transmitters very often fail to perform due to mechanical stress of the connecting cable or connecting plug. Mechanical stress caused by shock, vibration, temperature fluctuation, humidity or tensile stress damage cables and plugs during installation, but primarily in continuous operation and shorten their service life. 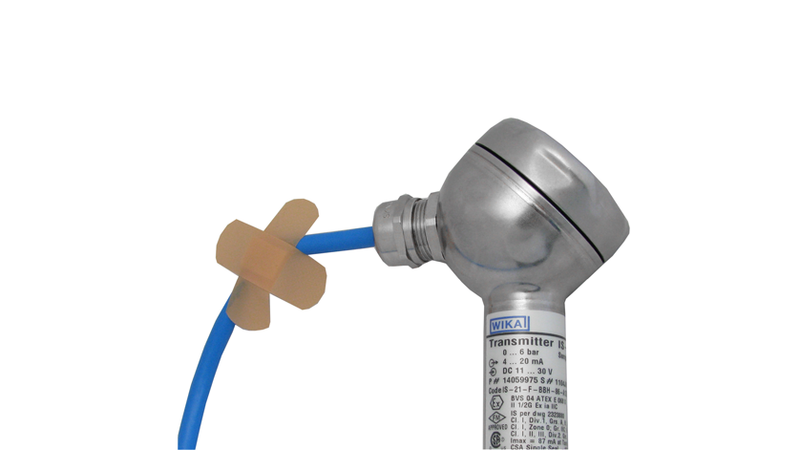 Therefore, when choosing a pressure sensor, specify measuring ranges, pressure connection, output signal, environmental influences and electrical connection. It is advisable to first specify all relevant parameters of the application before making a choice. This makes choosing a suitable pressure sensor more easy. Just like when choosing a pressure transmitter, important criteria must be observed when deciding which cable and plug is suitable for your application. Ambient temperature and humidity – which ambient temperatures must the cable withstand? Is resistance against longitudinal and transversal water necessary? Special operating conditions – EMC? Shock? Vibration ? Resistance against acids / bases? Ingress protection – which operating conditions in terms of ingress of foreign objects and water (IP ingress protection) or which mechanical force (IK protection) must be withstood by the plug connector? Which IP protection is required when unplugged? Contact material – how many mating cycles should the plug connector permit? Special operating conditions – EMC? Shock ? Vibration ? Resistance against acids/bases? Extended temperature ranges? You should generally evaluate and observe all above mentioned criteria in terms of your application when choosing cables and plug connectors. Usually, your pressure sensor supplier offers a selection of cables and connectors for typical applications. Your contact person will gladly be of any required assistance, should you need consulting for specifying a suitable pressure sensor and the corresponding cable / connector.